I’m a Ph.D. student at the University of Michigan, studying the evolution of symbiotic relationships that plants make at their roots with bacteria and fungi. Previously, I studied Behavioral Genetics, and specifically how genes and environment interact to increase susceptibility to mental illnesses. In my spare time, I like to cook, garden, and talk about the big stuff over a beer. I’m also a news junkie. I am a PhD student at the University of Michigan School of Public Health in the Department of Environmental Health Sciences. My current research focuses on potable water quality in Lima, Peru and the transmission of Helicobacter pylori, a commensal gut bacteria that is thought to be responsible for much of the world’s burden of peptic ulcer and gastric cancer. I am interested in the intersection between science and policy, especially as it relates to water and food. In my free time I enjoy camping, yoga, reading, and working in my cooperative vegetable garden with friends. I’m extremely excited to have dedicated my life to pulling weeds in northern lower Michigan, after (finally) finishing my M.S. studying invasive species ecology and management at the University of Michigan. 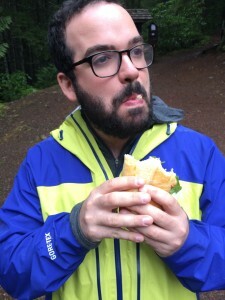 I’m currently a science educator living in Seattle. I’ve taught English in Korea, worked for the University of Michigan (UM) Museum of Natural History, and studied Biology at UM Ann Arbor; and I’m particularly interested in food systems, social justice, and science education. I am currently a post-baccalaureate student researcher in the process of applying to medical scientist training programs, and hope to eventually pursue an academic career in pediatric medicine. I am a science educator currently working at the Museum of Science, Boston. My work involves stimulating conversations between members of the public around current, controversial topics in science that intersect with society in one way or another. Occasionally I make lightning and hold alligators. Also a fan of cooking, hiking, biking, mushroom foraging, dancing, crafting, and porching. 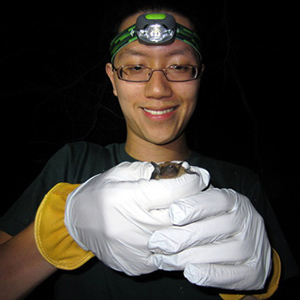 I’m a Ph.D. candidate in Ecology and Evolutionary Biology at the University of Michigan, where I study the evolution of modern bat diversity. Once I may have chased around bats in deserts, but now I stare at ones that are already dead most of the day. I am also interested and involved in science education and outreach, especially in the local community. In my free time, I am an obsessive and compulsive devourer of all forms of mass media entertainment. 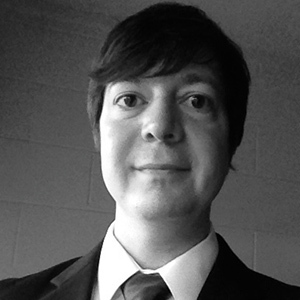 Chris Faulk is a postdoctoral research fellow at the School of Public Health in the University of Michigan. He studies the impact of the environment on epigenetics at the intersection of developmental biology and toxicology. He is especially interested in how toxicant exposures can impact our long-term health, even long after the exposure has ceased. Chris writes about the history of science, natural product biology, aging, and molecular genetics issues. I’m an environmental educator and park ranger in Olympic National Park. I majored in biology at Brandeis University before obtaining an M.S. in Plant and Environmental Science at Clemson University. I’m an avid hiker and outdoorsman with a deep and abiding love for our nations public lands. It’s my mission to get you out there, exploring the world, and seeing just how much cool stuff is right outside your door.